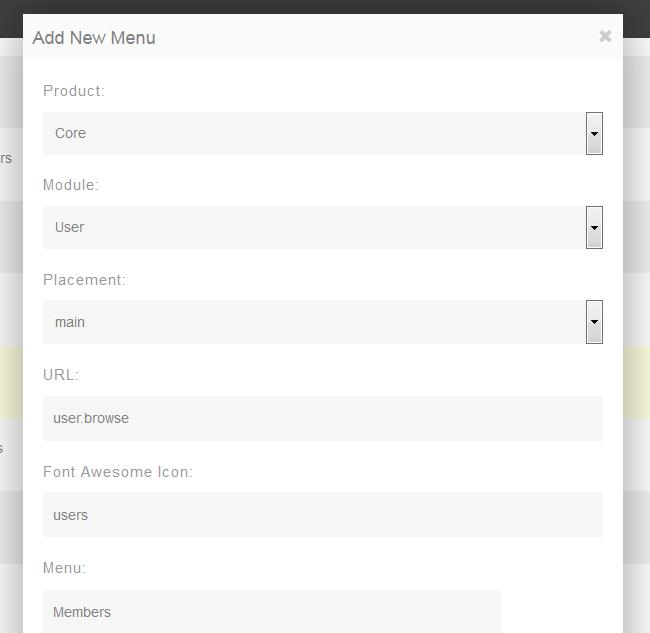 PHPFox Neutron comes with a pre-defined menu allowing the user to see any other recently active members . If by some reason you have removed this menu from your PHPFox Neutron this tutorial will review the process of re-adding the menu. To create this menu you will need to login to your admin dashboard, click on the Menu section located on your main panel and hit the Add Menu button at the top right corner of the page. Now you will need to fill out the form exactly like the image provided below. You can even search for members based on their gender, age and location.